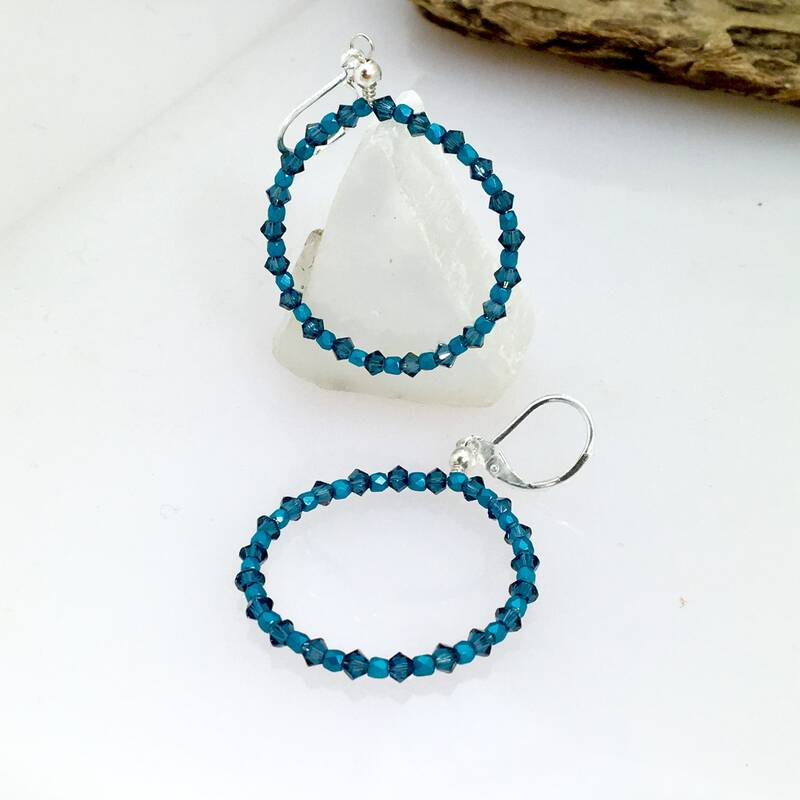 Bold in size, delicate in details, these are attention grabbers! 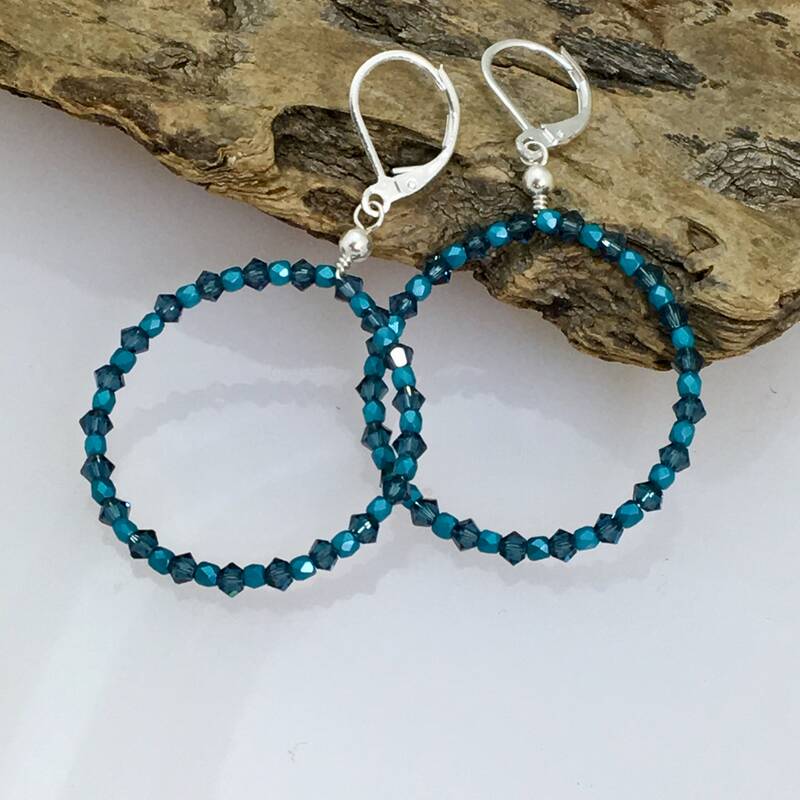 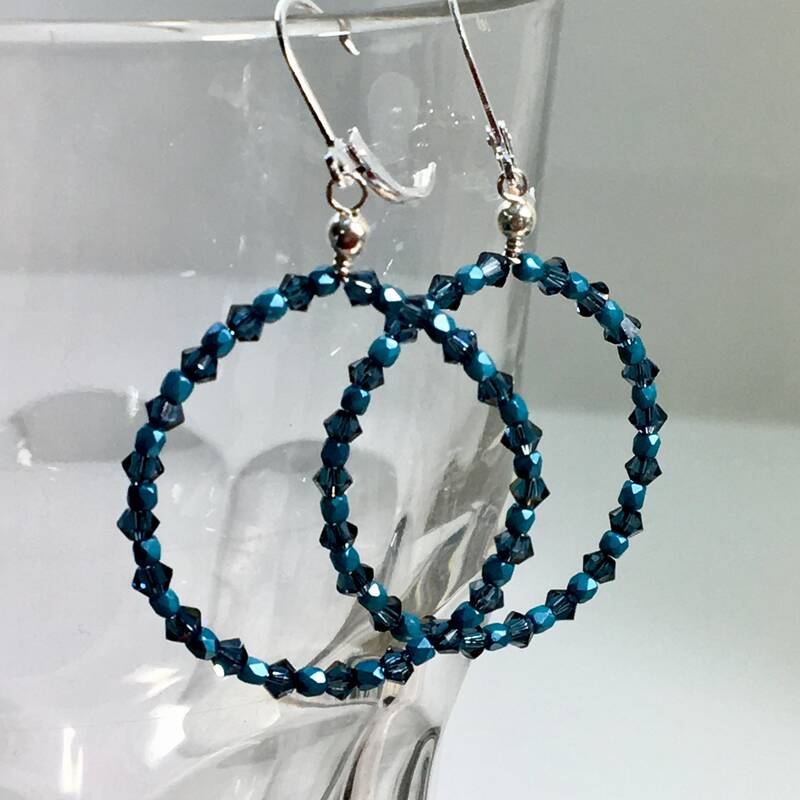 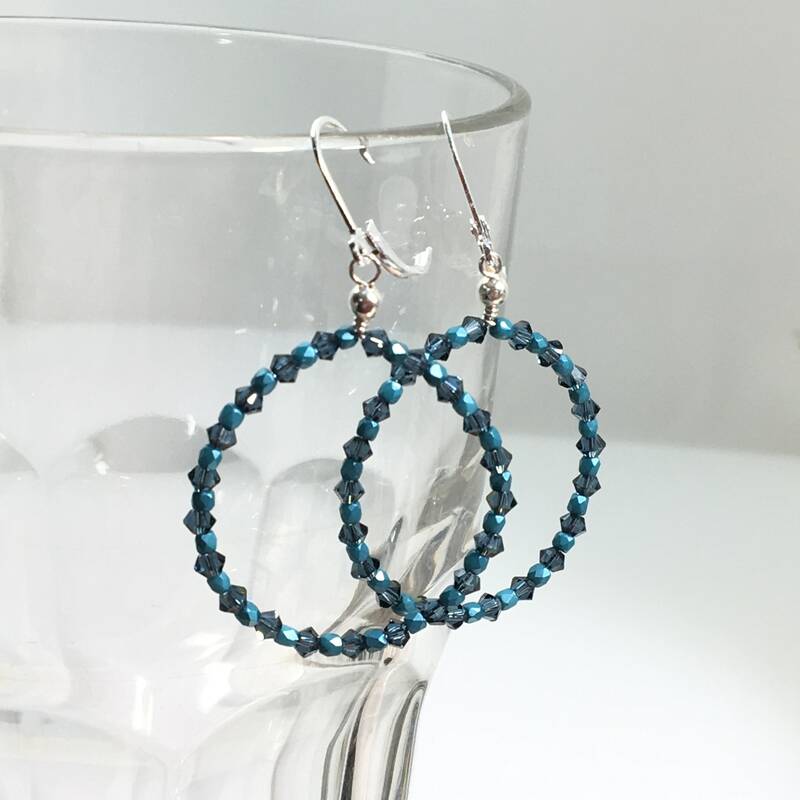 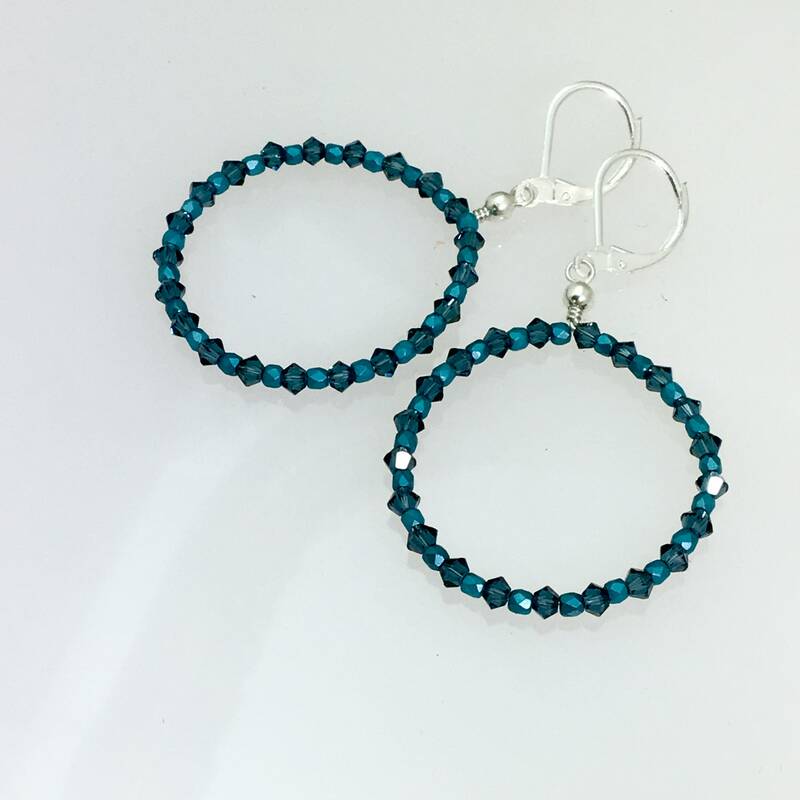 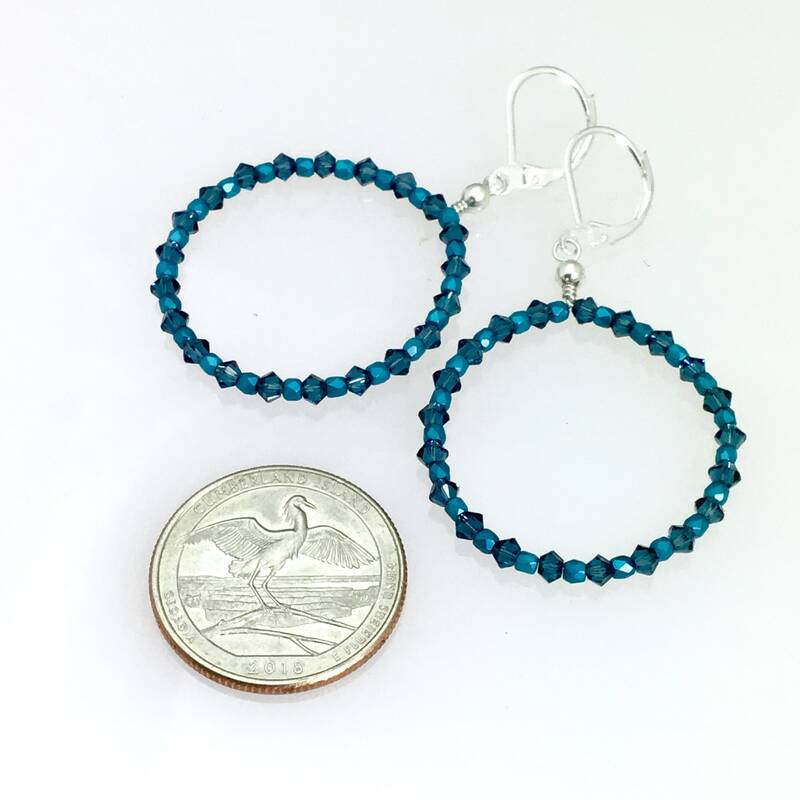 Hand shaped sterling hoops have been beaded with Swarovski Crystals and fine Czech glass beads. 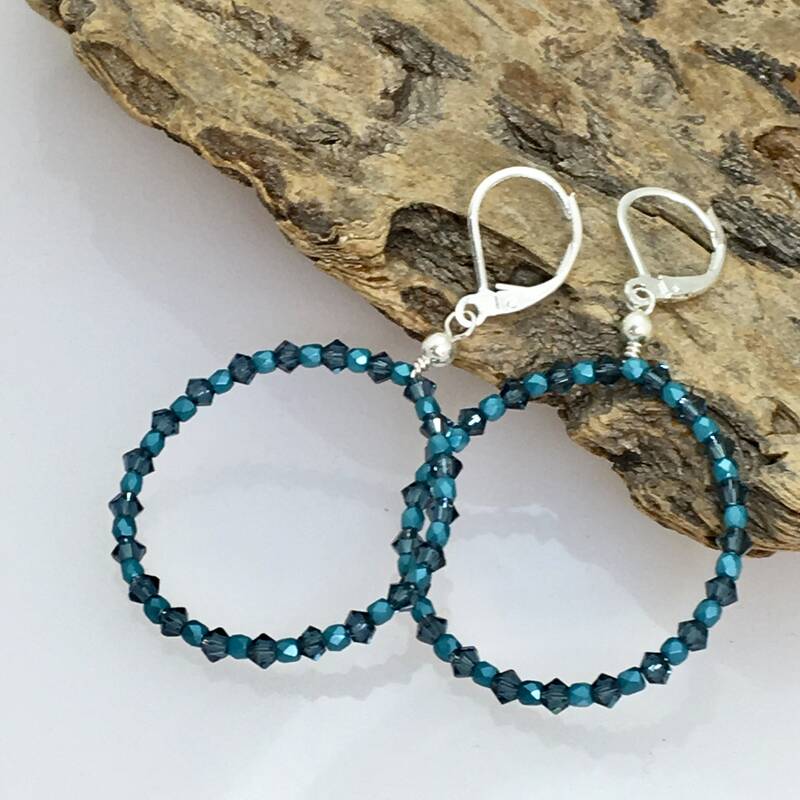 Earrings are packaged in my signature box, ready to gift. 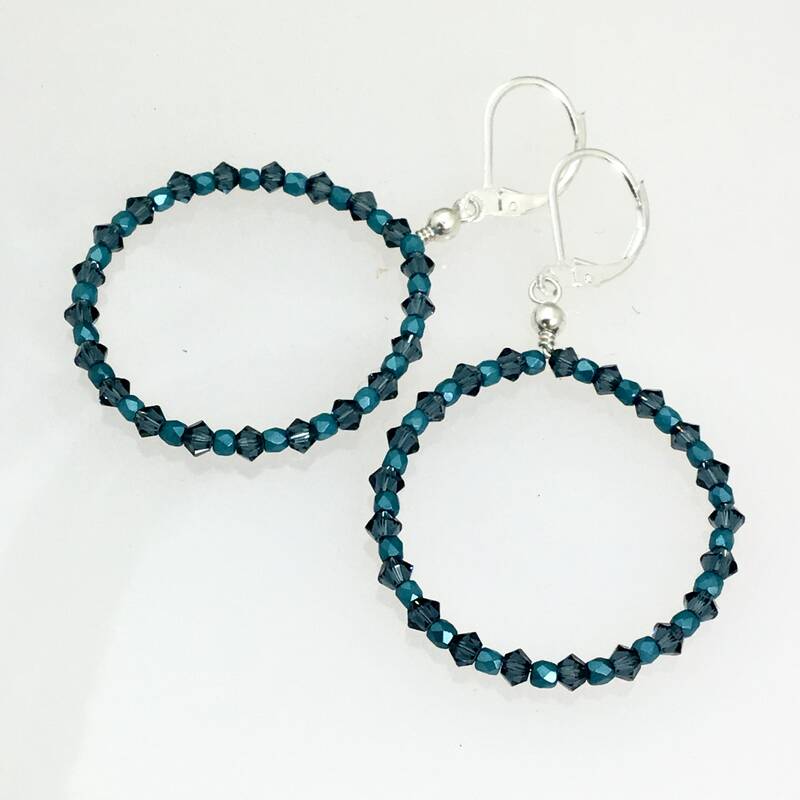 One of a kind and ready to mail.